In a written response, Major Mike Horton says the motorcycles would replace two older models and get better gas mileage. He says the motorcycle unit has four deputies who were reassigned to those posts in 2013 and are already covered in the sheriff's budget. Horton says the department currently has five motorcycles, three bought in 2001 and two more from 2003. - Where would these motorcycles be patrolling, and what is their purpose? Is the Sheriff's Motorcycle Unit paid for within existing contracts with the townships/municipalities in which they patrol, or is this an additional cost to the Sheriff's budget within the General Fund? - If the purpose of the Sheriff's Motorcycle Unit is for traffic patrolling, does the revenue resulting from citations and/or reimbursement from the municipalities cover the full cost of the Unit? 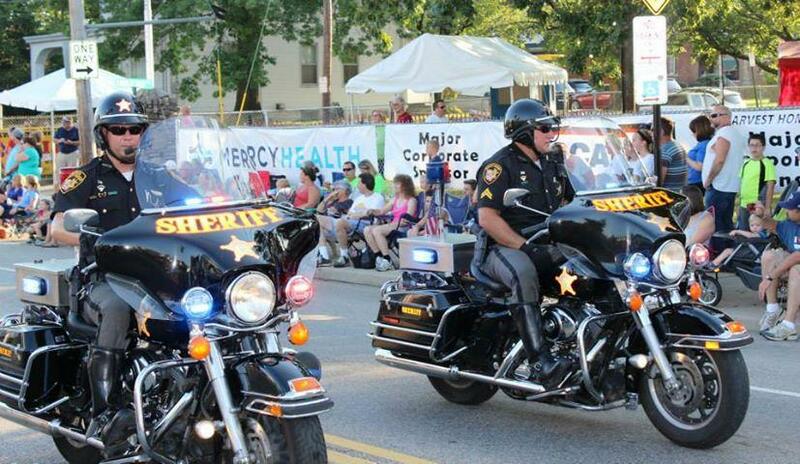 What is the full cost of the Sheriff's Motorcycle Unit to the General Fund? - Is there currently staff hired specifically for the Motorcycle Unit? Will there be additional staff hired to utilize these new additional motorcycles to the fleet? The Motorcycle Unit, which is comprised of four deputies, is assigned to our Traffic Safety Unit. Each Motor Officer is specifically assigned to a District. Besides providing basic public safety and answering calls like every other deputy in a cruiser, there is an emphasis on taking crash reports, issuing citations, school zone enforcement, school checks, Hit Skip follow ups, Crime Prevention Programs, and Escorts, all responsibilities ideal for a Motor Officer. These Officers are not being paid for by any of our Townships or Municipalities. Their positions are not an additional cost to the Sheriff’s Budget. Their salaries were already covered in the current/past budget. This is simply the Sheriff’s Office maximizing boots on the ground and continuing to better utilize our resources. I have no answer to the amount of revenue being generated. I don’t think we track revenue for those deputies operating the cars/cruisers separately from the motorcycles. The cost of the Motor Unit is not costing any additional monies from the General Fund. We re-assigned four Deputies to operate the Motorcycles that were paid for in 2001 and 2003. No additional people were hired and no additional people will be hired. Training for the motorcycle unit was provided free of charge by the City of Cincinnati and the Lawrenceburg Police Dept. This training took place over a 10 year period of time to ensure that our riders were nationally certified. The City has two certified instructors who conducted this training (obviously with prior approval by the Chief). We currently have 5 Harley Davidson Motorcycles. Three were purchased in 2001 and the remaining two were purchased in 2003. As you know, they sat in our garage for many years, only to be used for parades and escorts. In 2013 we decided to put them into use rather than have them sit in a corner and collect dust. We’re asking to replace two of the older units with new ones because of their age. The newer units are much more efficient than the older ones. They have larger gas tanks, electronic ignition, and newer transmissions. The older units had a five gallon gas tank and a 5 speed transmission that got approx. 25 to 30 miles per gallon. The newer units have a 6 gallon gas tank and a 6 speed transmission that gets approx. 40 to 45 miles a gallon. This is a huge savings on fuel compared to the older units, and even more of a savings compared to cruisers. These bikes are able to go places that four wheel cruisers simply can’t get to, making them a great resource to our Officers. It should also be noted that the older units would not support the necessary change in technology, however the newer units will. Commissioner Hartmann says he still has questions about deputy safety and effectiveness. What is the benefit to officer safety of purchasing Harley Davidsons? Per our discussion, please also provide the memo you referenced regarding the Sheriff’s Motorcycle Unit that includes the number of citations issued by officers in this Unit, the number of calls the Unit responded to, etc. As your email mentions, the Motorcycle Unit is a fairly new unit in the Sheriff’s Department and the Board would benefit from better understanding the Unit’s responsibilities and scope of services.